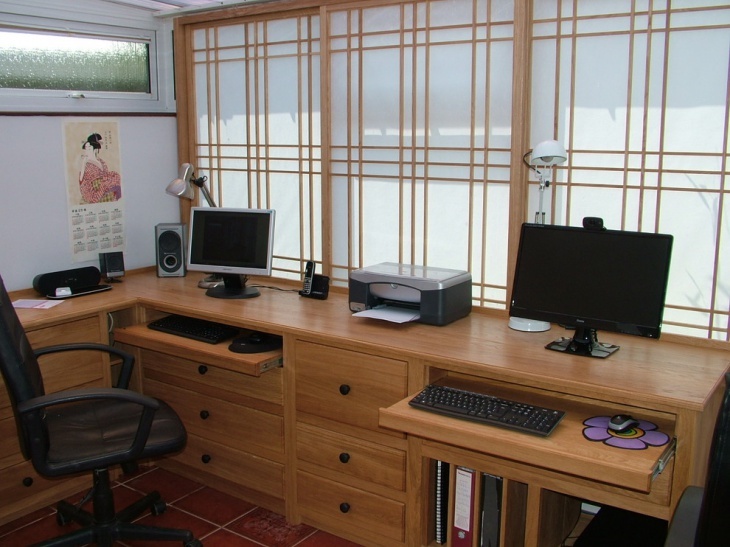 Whether you use it every day or just once a month, the home office still needs to be duly designed and decorated just like all the other spaces in your home. Even if it is just a small room or a place in the basement, having an office at home gives you the liberty to design as per your preference. In order to make your home office looking productive and comfortable, we have compiled together a list of office decor ideas to help you achieve maximum results while maintaining optimum style. 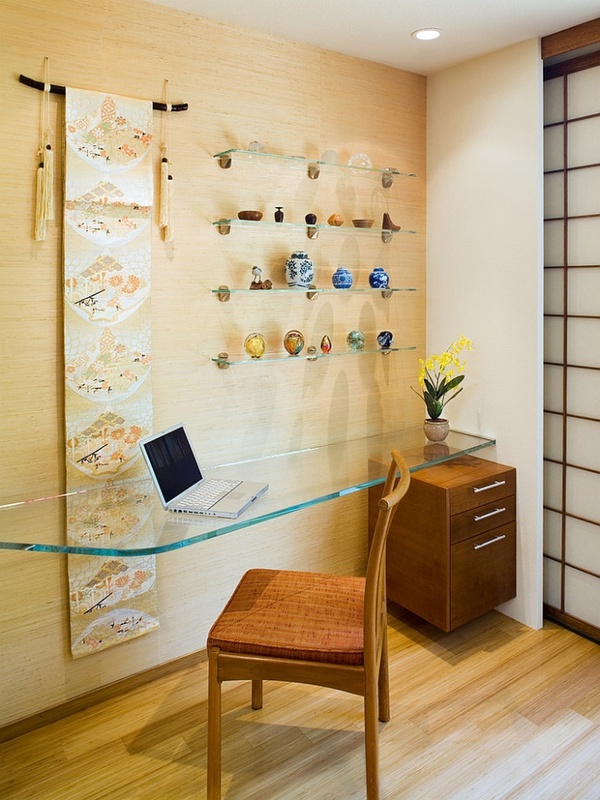 Even if your home office is small it is still no excuse to keep it haphazard. 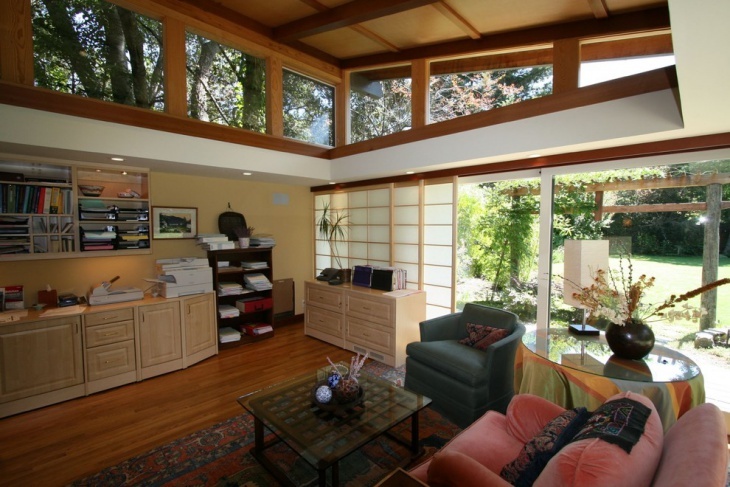 Small home office interior can be equally fruitful if outfitted with the right interior. Make sure to have enough storage space either in the form of cupboards or shelves. The storage helps to keep everything organized and compact. Wooden decor adds a sense of professional to your workplace while keeping it in accordance with the rest of the decor of your place. It might seem too much, but trust us, the complete wooden look to your office interior will not be overbearing for the eye. Having a uniform theme to your office just helps to set the mood without leaving much scope for eyes to get distracted with multiple elements. If you feel having a single theme doesn’t personally reflect your style, then including pastel shade to your office space is the way to go. Pastels help to bring in the required color to your office space without letting it be too informal. You can also add a plant for bringing in nature with your work. Rustic can be another theme to try for your office. 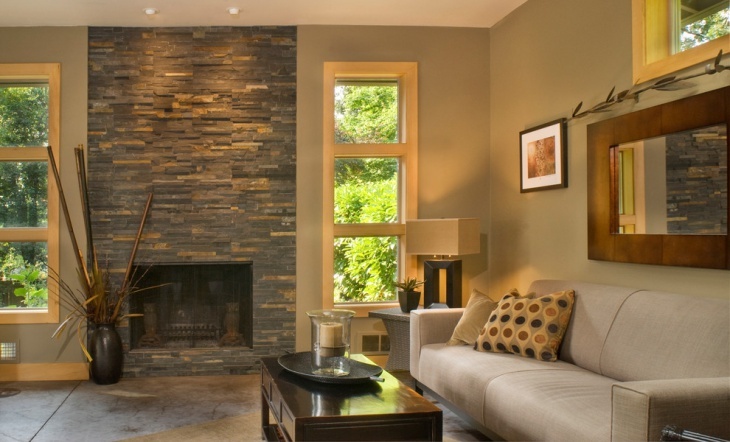 The rustic look will motivate you to keep things natural. 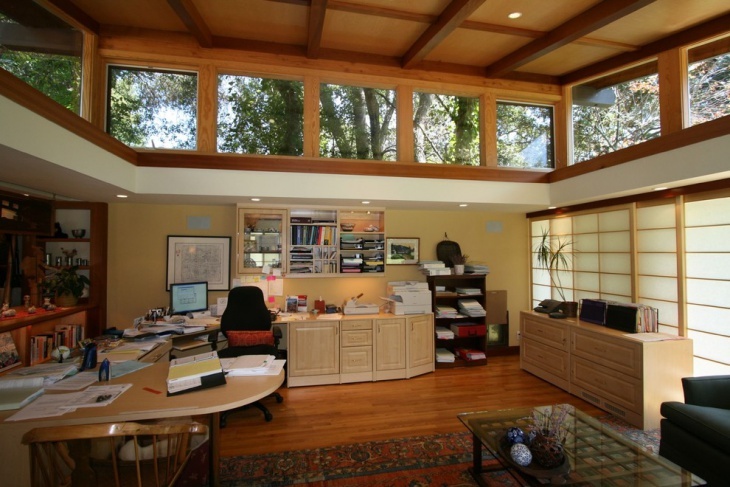 If you narrow down the look of your office to rustic make sure to include big windows for maximum source of natural lighting. 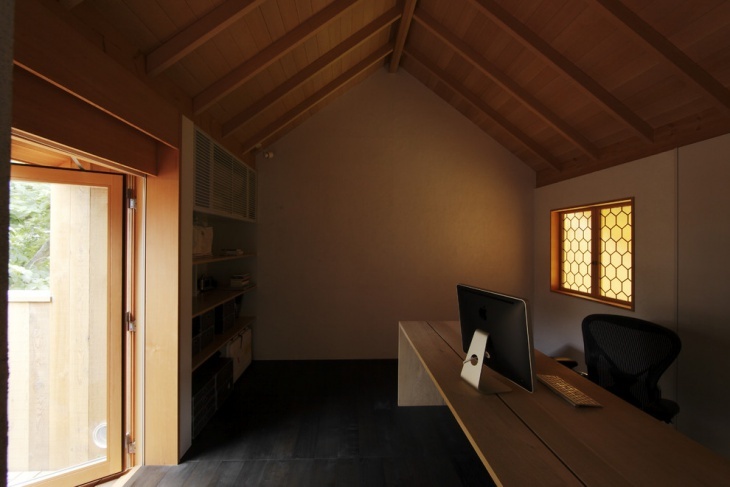 Natural lighting will help enhance the look of your rustic home office. 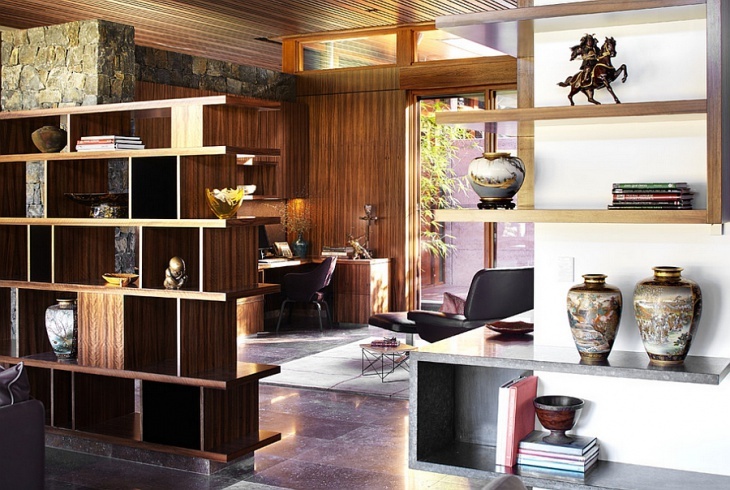 Brown has always been synonymous with furniture. 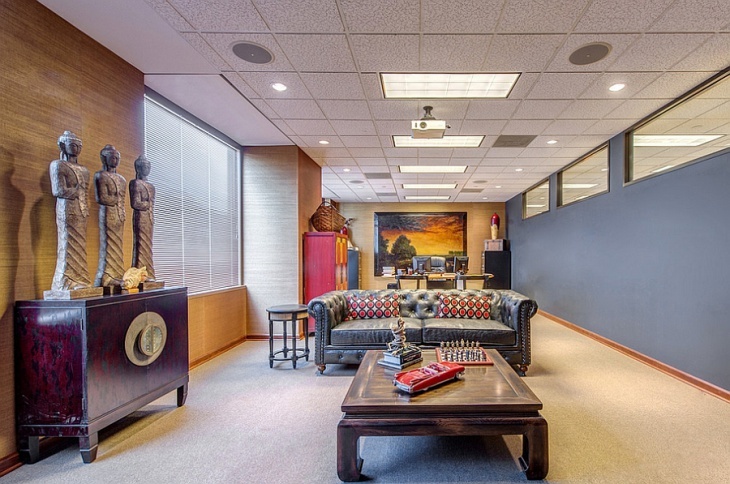 If you don’t wish to experiment with the office decor, stick to standard furniture, that is comfortable and sleek. 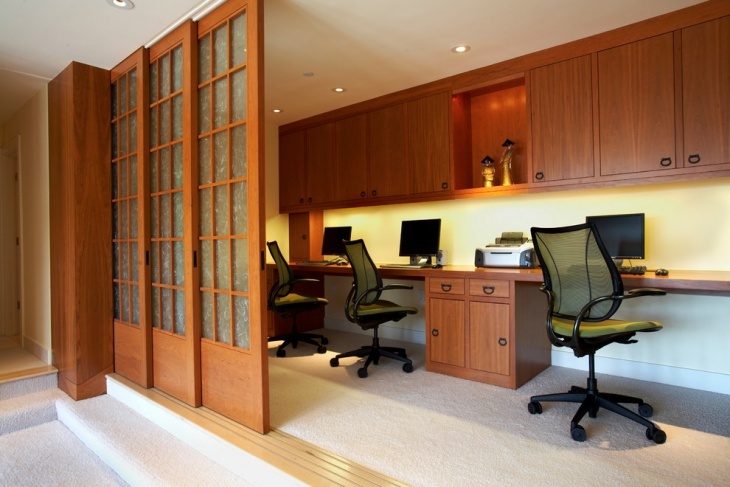 If you wish, you can also include a carpet to your office, for making the look of your home office classic and refined. Furniture that is simple and not complex in its approach or design always manages to comfort the eye and mind. 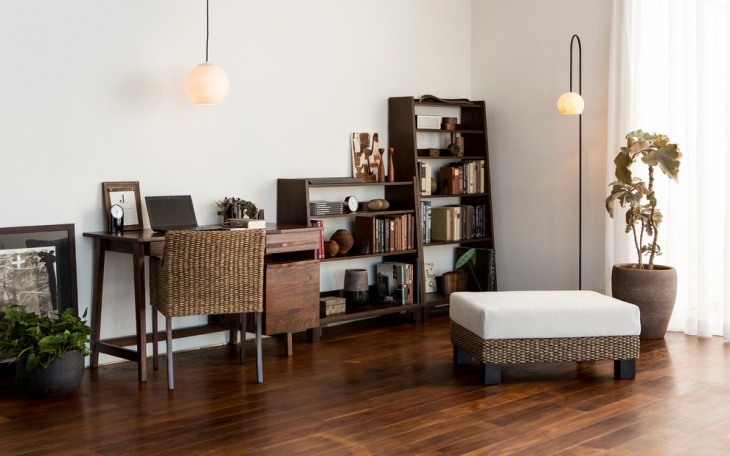 Try and include simple furniture that suffices your work in the home office. If you think the look has turned too simple or sober then you hang a personal artwork or include some small decor pieces that help to liven up space. 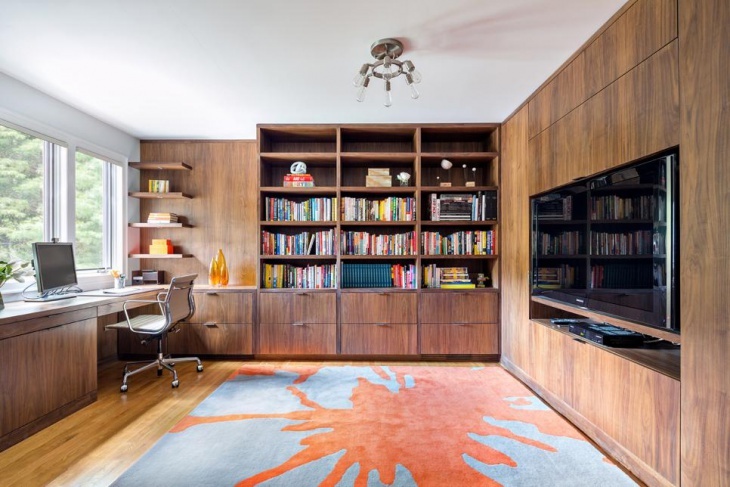 Built-in bookshelves are one way to increase storage and save the floor space in your home office. Built in storage not just increases the storage capacity but also accentuates the depth of the room by making the walls appear further. With built-in storage space, you will have plenty of room to plan and decide on the interior decor pieces for the office. If you like the look of having a complete white office, then just make sure to include one or two colorful elements that add the required contrast and spirit to your decor. White gives you the added advantage to help you experiment with the other elements in the room. Dark wood has been gaining popularity in the present time. The well polished and formal appearance of dark wood will certainly add the required businesslike and proficient look to your office space. 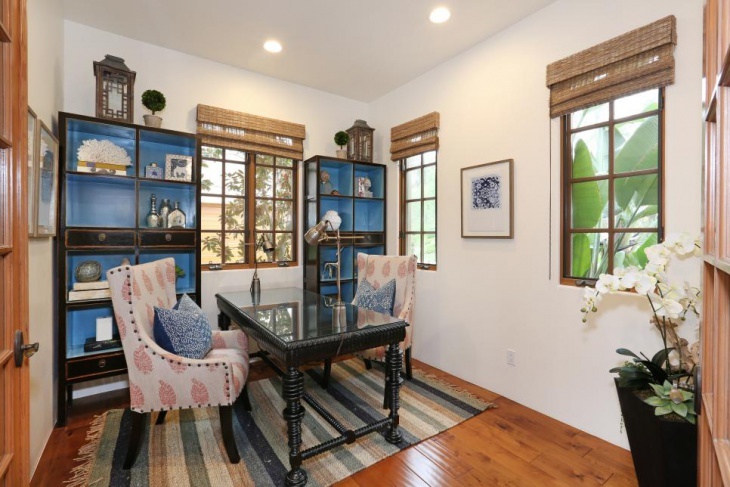 Often overlooked, but home office decor is as important as decorating any other space in your house. Probably because you are going to spend the major time of your day in that very area. No matter what decor you go for, make sure to keep the look minimal and organized for productive impact.